A Young Adult SF Trilogy filled with Action and Adventure! A coming-of-age story about a boy who becomes a reluctant hero and must learn that with great power comes great responsibility... and the moral parameters of that responsibility. 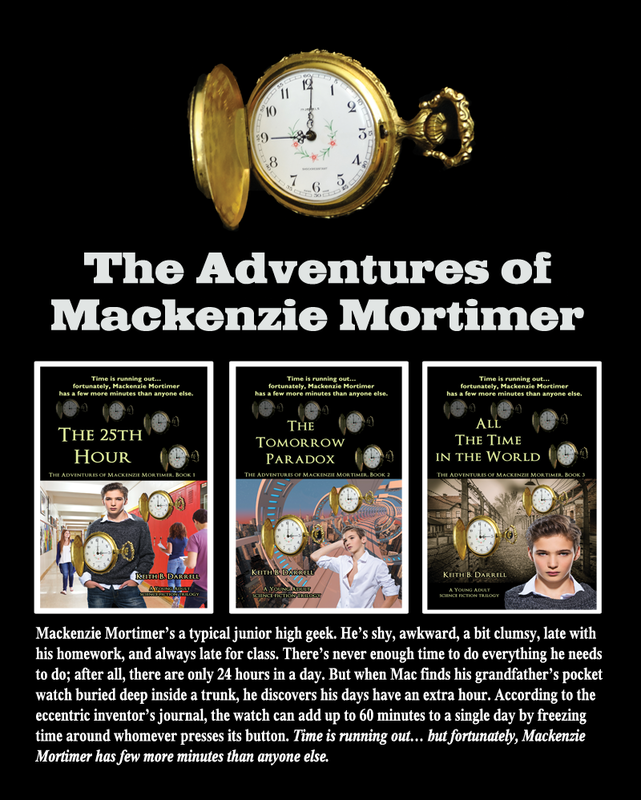 Time is running out... but fortunately, Mackenzie Mortimer has a few more minutes than anyone else. Mackenzie Mortimer is a typical junior high geek. He's shy, awkward, a bit clumsy, late with his homework, and always late for class. There's never enough time to do everything he needs to do; after all, there are only 24 hours in a day. But when Mac finds his grandfather's pocket watch buried deep inside a trunk, he discovers his days have an extra hour. According to the eccentric inventor's journal, the pocket watch can add up to 60 minutes to a single day by freezing time around whomever holds the watch and presses its button. Marlene Prentice is Mac's best friend, but he's clueless the tomboy has a crush on him. Mac only has eyes for the foxy Vanessa Carlyle, daughter of the richest man in town. When a crisis looms for Mac and his friends, time is running out… but fortunately, Mackenzie Mortimer has a few more minutes than anyone else. 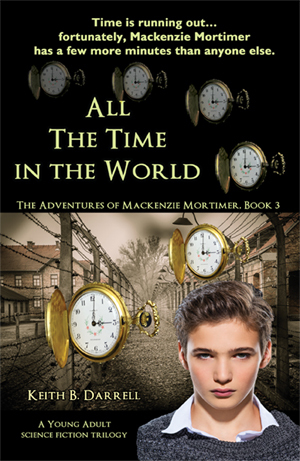 Mackenzie Mortimer's troubles are just beginning! 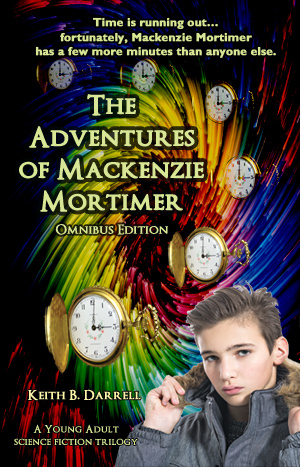 With his pocket watch destroyed, Mackenzie finds himself a stranger in a strange land, surrounded by familiar people he doesn't really know, with only Gemma, a 15-year-old clone, to guide him through the labyrinth of the future. Will the mysterious black, iron key unlock the secrets to returning him home, or is it a harbinger of his impending doom? 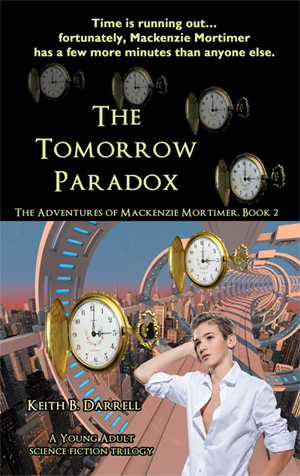 Time is running out... but fortunately, Mackenzie Mortimer has few more minutes than anyone else. 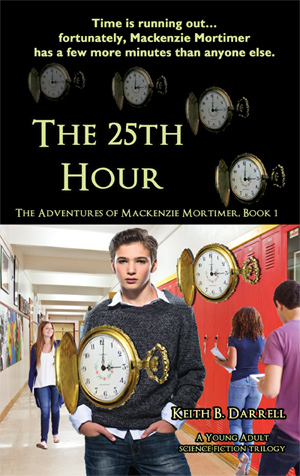 Time is running out… but fortunately, Mackenzie Mortimer has a few more minutes than anyone else. The entire trilogy in one huge book! 740 pulse-pounding pages!